Blog What Is A Representative Office In China? Foreign companies who require 'boots on the ground' may choose to open a representative office in China. But what is a rep office, as they're commonly known, and why would your business choose to open one in China above other company options? A rep office is a local Chinese arm of a foreign company. It allows a foreign company to have a physical presence anywhere in Mainland China, and also allows them to send foreign staff here to undertake business activities that may be beneficial. Despite strengthening ties between China and the rest of the world, the vast distances involved can make communication and control difficult, especially where Chinese clients and suppliers are concerned. How many long-haul flights are needed each year in order to manage operations in China? As the name suggests, a representative office in China is the local representative of your business, a place where local Chinese clients and contacts can meet you, and a place that can exert control over your brand, marketing, and supply chain in China. It can't perform any business activities related to making profit however. A rep office can not only hire foreign staff, such as your company's chief representative who you may be sending from headquarters to live in China, but may also hire local staff too if necessary. What Are The Benefits Of A Rep Office? Rep offices have several benefits to foreign companies who're starting a business in China. Allows your company to have an official presence within an office space in China. This allows you to host staff here, and have a place to meet with clients and suppliers, as well as coordinating work. No registered capital is required to set up a rep office. This means that it is fast to set up and accessible to most foreign companies. It has few difficulties regarding tax. The only tax that should be attracted by a rep office is on its running expenses, such as salaries and running costs. Since it sells and exports nothing, there is no complicated tax to consider here. Hiring and HR is simple. Rep offices can't directly hire staff, although you put forward the foreign representatives that you wish to employ from them when applying to set one up. Rather thy will use FESCO, a Chinese government authorized 3rd party HR agency, who will arrange any hiring for you. The agency should also arrange the tax filing of employees as well. Can be up-and-running in around just 2 weeks. Since the rep office is fairly limited in scope, there is less to be checked when aiming to set one up, hence the short time that you would need to wait. Allows companies to perform market research in China. Possible to locate new suppliers and clients. 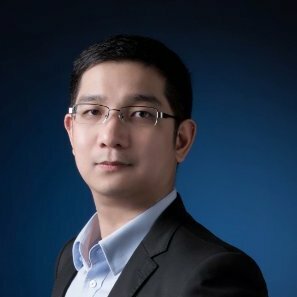 Able to manage marketing and promotions within China. Your company can exchange ideas and technology with local organizations more easily. You can perform Quality Control and other advisory and regulatory activities pertaining to the parent company's dealings in China. What Are The Disadvantages Of A Rep Office? The representative office in China is not permitted to conduct any business that drives profit. This includes signing contracts, making sales, issuing invoices, and rendering paid services to any other organization other than its parent company abroad. They may not warehouse any products. It may not remit profits out of China. The parent company of a rep office must have been established for more than 2 years. Its business address may only be located in a commercial building. While there may seem to be less disadvantages, it's important to consider number 1 on the list. A rep office may not trade, and is therefore not seen as a legal business in China. Rather it is a local extension of the parent company. What Is Required To Open A Rep Office In China? Basically the paperwork and 'proof' needed to start a rep office is fairly straightforward. If any forms and information are required, Hongda will advise and guide you through producing them correctly, and of course submit the application in good time. A rep office is the perfect choice for foreign companies who already have dealings with China, but who do not need to 'sell' or make profit there. For instance, a foreign brand who is outsourcing its manufacture to a local Chinese company which then exports the products to its home country. A local rep office allows this foreign brand to have a local presence and trusted staff who may undertake factory visits, meet new suppliers, and manage operations already ongoing in China, thus negating the need for many costly and time-consuming long-haul trips to China. If you require a local business within China which can make profit as its own entity, then you will be interested in a WFOE or Joint Venture company. A rep office will NOT allow you to do this. Do you run or work for a rep office in China? What are the tasks that you commonly undertake within China on behalf of your parent company? 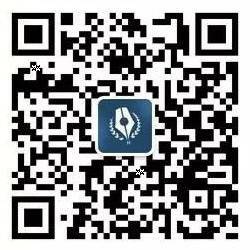 Do you have any tips for others in this community seeking to open a representative office in China?